This pack contains the alcove sliding door, low profile (45mm) MX Elements designer tray, and 90mm fast flow waste. 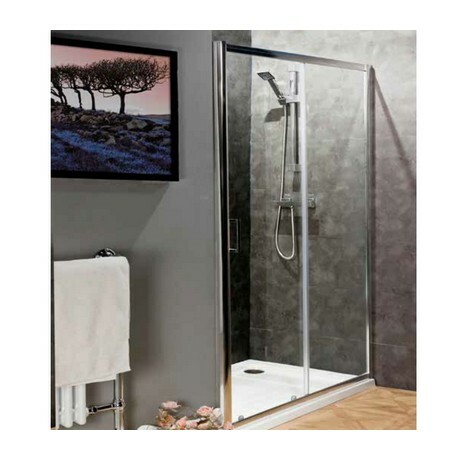 The door features 6mm tempered safety glass and a polished silver frame, wall profiles and top cover packs are included. The door slides smoothly on a quality roller system.